Zurich | Reuters — The Swiss government urged voters on Tuesday to reject more help for farmers and other proposals for agriculture in a referendum next month, saying they would send food prices rocketing and hurt the economy. 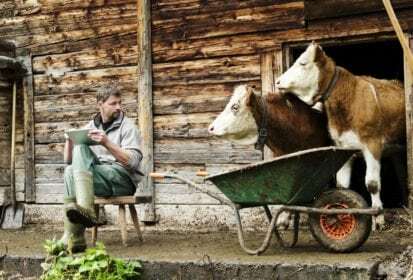 Switzerland will two hold referendums on Sept. 23 — one on giving more state support to farmers and another on introducing more sustainable and animal-friendly agricultural practices. An early poll has shown widespread support for both ideas, but Economy Minister Johann Schneider-Ammann said the “dangerous” proposals could trigger tariff increases and other reprisals from trading partners. One of the proposals, called the Fair Food initiative, wants all food in Switzerland to come from sustainable sources and make labelling more exact. It wants to improve animal welfare by banning imports of factory-farmed products and ensure food imports meet higher Swiss standards. Supporters like the Green Party and Social Democrats argue that consumers, animals, the environment and farmers would all benefit. The other proposal wants to increase state aid to Swiss farmers, whose numbers have halved since 1985 and three farming businesses close every day. “At first glance these proposals have stirred the sympathy of many citizens,” Schneider-Ammann told a news conference. Agriculture’s contribution to the Swiss economy has fallen from two per cent in 1985 to under one per cent. Supporters of the Food Sovereignty initiative for increased state help for struggling farmers, including farming groups and NGOs, want more price transparency to give farmers more heft when negotiating with retailers and food processors. They also want to increase the number of people working in agriculture and impose stronger regulations on imports which could be subject to higher tariffs or even bans if they do not meet Swiss standards. The government said the demands would lead to higher subsidies or fixed prices, a claim campaigners reject. The referendums are being held after farming groups and environmentalists gathered more than 100,000 signatures needed to trigger a vote under Switzerland’s system of direct democracy. Three quarters of people polled back the proposals, according to a survey by GFS Bern, a market research company. The government says the proposals would lead to large-scale state intervention, while banning imports could prompt other countries to launch retaliatory tariffs and sanctions. “Increasing the number of people working in agriculture can be done only with additional intervention by the government, and would come with higher costs. The entrepreneurial freedom of farmers would be endangered and their dependence on the state would be enormously increased,” Schneider-Ammann said. — John Revill is a Reuters correspondent covering Swiss industry and policy from Zurich.